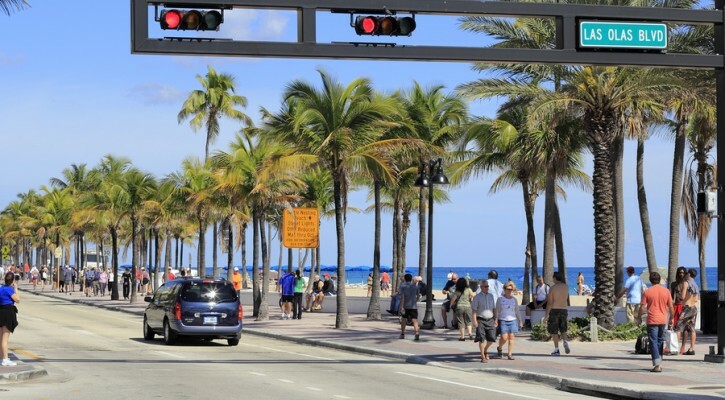 Florida continues to be among the deadliest states for pedestrians according to a report from the Governor’s Highway Safety Association (GHSA). The recently released report found that, nationwide, pedestrian deaths were just about the same in 2014 as they were in 2013. However, Florida’s pedestrian deaths continue to rise. When comparing the preliminary pedestrian death rate for the first six months of 2013 and 2014, Florida led the nation with 292 pedestrian deaths; an increase of 50 deaths over the same six month period in 2013. Florida is the third most populous state in the nation yet, when looking at the total pedestrian deaths for 2013, Florida, with 501 pedestrian deaths ranked second only behind California’s total of 701. Florida, with only 51 percent of California’s population had a pedestrian death rate equal to more than 71 percent of California’s. When looking at the pedestrian death rate per 100,000 population, Florida takes the lead. One might make the claim that the large number of tourists that visit Florida each year might skew the results. That idea might hold up if Florida led the nation in tourism but it doesn’t. California leads the nation in tourism followed by Florida according to a study by HotelsCombined, a hotel booking site. Clearly Florida and Florida’s drivers are doing something wrong. A 2014 study by the George Washington University School of Business listed Orlando as the most dangerous city in the US for pedestrians and ranked Tampa and Miami among the top ten least walkable cities in America. Florida cities need to consider walkability as part of their plan when building or improving roadways. Florida drivers need to be more aware of pedestrians, especially in heavily traveled tourist areas. Part of being a good defensive driver is considering what you would do if a pedestrian were to walk out into the roadway.